OUT ON 22/02/19 WORLDWIDE >> iTunes: https://apple.co/2Gp1Vv1 | Juno: http://bit.ly/2Blw5vT | Spotify: https://spoti.fi/2SkTW4m | Amazon: https://amzn.to/2EptjHW | Deezer: http://bit.ly/2Xc7Fy9 | Traxsource: http://bit.ly/2GWJ0rr @renga-weh-official | @mollonobass Imagine the fine morning mist that hovers over a stretch of standing water and that makes visible those warming rays of the early sun: It’s a perfectly calm moment, yet a moment that is in constant change. It’s a moment that is both very meditative and stimulating. 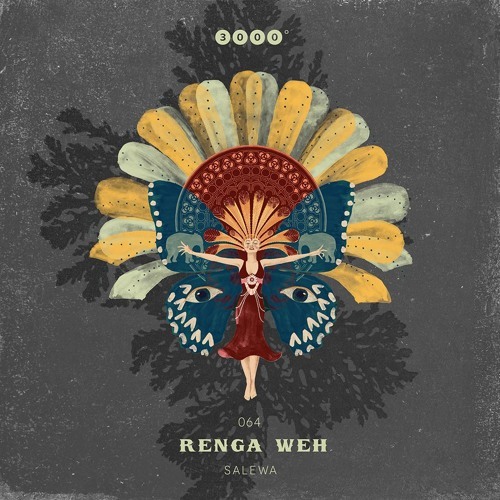 That’s exactly the intricate system of thoughts and emotions that is generated by Renga Weh’s track Salewa. The remix of Mollo.Bass keeps up this mesmerizing atmosphere, even though there’s more emphasis on the magic of kickdrum and bassline here. Then we are taken to the world of sound of a party that happens first and foremost inside the heads of the dancers: The minimalist hypnotism of Avatar draws you deeper and deeper into a vortex of glowing warmth.